Mission Federal ArtWalk returns to Little Italy on Saturday, April 29 & Sunday, April 30 to celebrate its 33rd year as San Diego’s premier arts and cultural event and the largest fine art festival in Southern California. The free weekend-long extravaganza attracts thousands of visitors each year to San Diego’s Little Italy, where seventeen blocks of Downtown San Diego will be filled with artwork from over 350 artists, live entertainment, food, drinks and more. 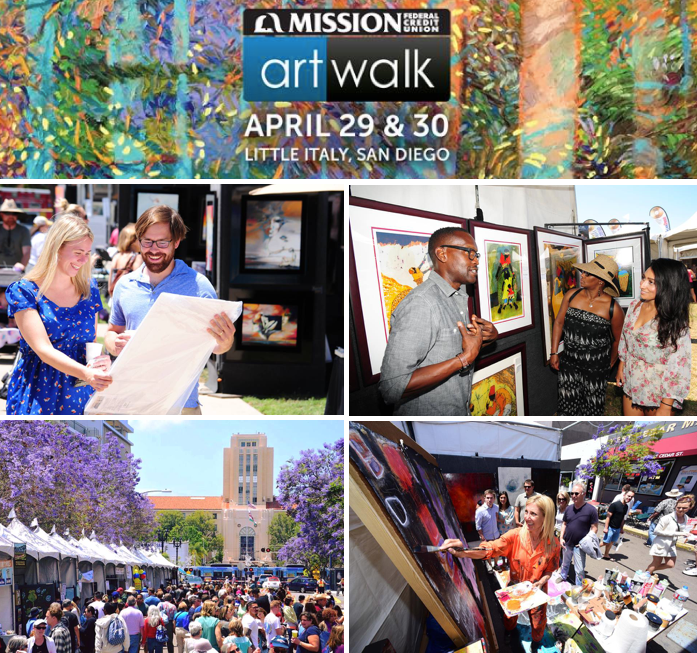 "Each year we work closely with our sponsors, vendors, featured artists, entertainment, community and local non-profit organizations to bring an extraordinary art experience to San Diego," said Sandi Cottrell, Director of Mission Federal ArtWalk. 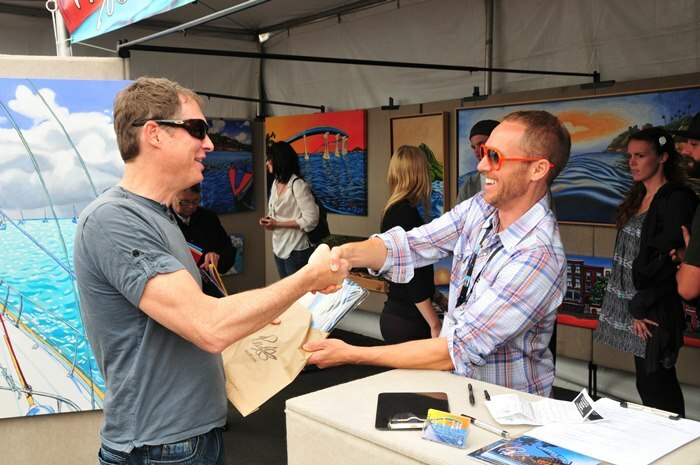 "Mission Federal ArtWalk is for everyone - serious collectors, first-time art buyers, families and visitors to San Diego. Each year, one of our goals is to ensure attendees feel like they can be a part of the art. That’s why bringing interactive art activities and kid-friendly projects to the event is so important to us. We encourage attendees to express themselves throughout the weekend and find their inner artist, which exists in all of us." New to this year’s event will be the live mural work of famous local muralists Mario Torero and Maxx Moses. Attendees will be able to participate in mural-making alongside these well-known mural masters. Among the many interactive art experiences, attendees can also participate in a printmaking project with sponsor Artist & Craftsman Supply. The Mission Federal ArtWalk non-profit partner, ArtReach, teams up with Knockaround Sunglasses, a popular Southern California sunglass company for their Class Acts campaign that supports art education by donating money, resources and supplies to local elementary schools with limited budgets. Knockaround will release this year’s winning design by a fifth grade student. These shades with a colorful peacock feather design will be revealed and available for purchase at Mission Federal ArtWalk and all proceeds will be donated to participating elementary schools and ArtReach. "Visitors are inspired at Mission Federal ArtWalk because there are over 350 artists showcasing a variety of art displayed in one central, beautiful location." continued Cottrell. "Browsing for art at this event is rewarding because you have an opportunity to meet the artists that created the work and learn about their story. 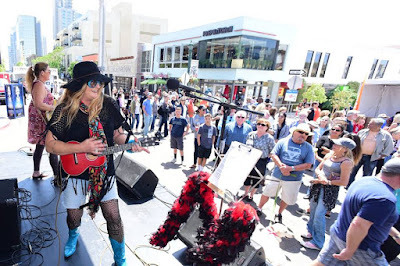 The festival environment surrounds you with live music and dance, rich culture and interactive art activities - all in the heart of one of San Diego’s most vibrant neighborhoods, Little Italy." The yearly art festival is brought to San Diego by the same team that brings ArtWalk @ Liberty Station to the Arts District in Liberty Station every August. 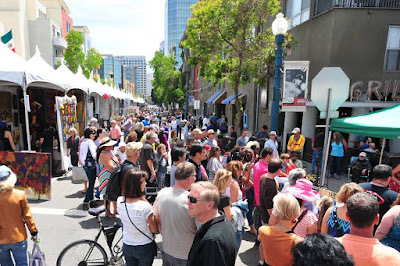 Mission Federal ArtWalk attracts over 100,000 art collectors and visitors from all over the country to purchase art from established and emerging artists during the two-day festival. Mission Federal ArtWalk will be located between Ash and Grape Streets in San Diego’s Little Italy neighborhood. The event will run from 11am to 6pm on Saturday, April 29 & Sunday, April 30. Attendance is free. For more information, visit artwalksandiego.org or watch last year’s wrap up video below.